An inspiring coach and Jimmy Lee's ability to play football are the only things motivating him to return for his junior year of high school—until his visionary English teacher cuts him a break and preserves his eligibility for the coming football season. 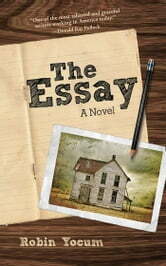 To thank her, Jimmy Lee writes a winning essay in the high school writing contest. When irate parents and the baffled administration claim he has cheated, his teacher is inspired to take his writing talent as far as it can go, showing him the path out of the hills of Appalachia. 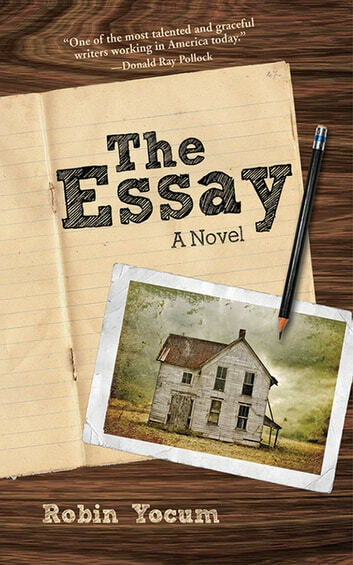 Terrific characterizations, surprising revelations, gut-wrenching past betrayals, and an unforgettable cast of characters born of the dusty, worn-out landscape of southeastern Ohio make The Essay a powerful, evocative, and incredibly moving novel.